Is October a decent time to see orca pods in Vancouver, B.C.? I've gone whale watching in early spring in Seattle, Washington; mid-summer in Monterrey, California; and lower Alaska in late summer, over the past few years, and I've yet to see any orcas. (I've seen plenty of humpback, grey, and minke whales)! So I've booked a trip to go whale-watching in Vancouver, British Columbia (Canada) this Saturday (October), and was hoping maybe the Fall season would be more fruitful? I know you can never predict the sightings of a wild creature, but I was wondering what the migratory patterns of orca pods are in October in the Pacific Northwest, and what the possibilities are that they may be passing through Vancouver? Any personal experiences of seeing orcas in Vancouver in the Fall? Is October a decent time to whalewatch for orca pods in Vancouver, B.C.? 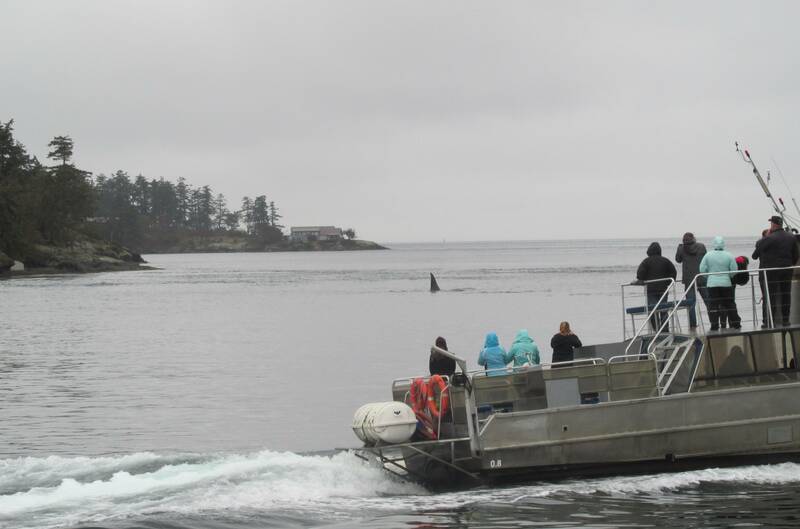 All four of our vessels are running in full swing and we’ve been sighting whales on over 90% of our tours this season. 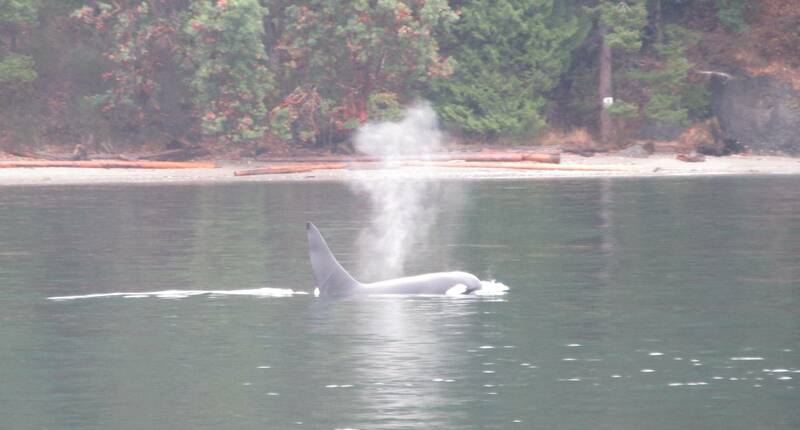 Almost daily we’ve been seeing orca, with the majority being our ‘transient/Biggs’ ecotype. These are the marine-mammal-eating orcas and boy, have they definitely lived up to their name this season. With an exceedingly healthy population of Pacific harbor seals glittering our coastline our guests have been witness to orca dinner parties semi-regularly. It’s as wild as it sounds. Pnuts provided an excellent answer above ^^^. I'm just providing a delayed update on what my personal experience was (for others who might be wondering about their chances to see orcas in October in Vancouver). Originally, this was just going to be a comment, but I wanted to add some photos. YES, I finally saw not one, but saw 3 orcas!!!! One mother and 2 calves. And we heard them before we saw them! They apparently were not from a local pod, but were transitory ones migrating south for the winter, and were of the mammal eating variety. It was an incredible experience! I felt like I was walking on air for quite sometime. (Oh, and there was plenty of other wildlife too -- bald eagles, seals, sea lions, etc). Just bundle up! It was pouring rain when I was out there, but so worth it! Not the answer you're looking for? 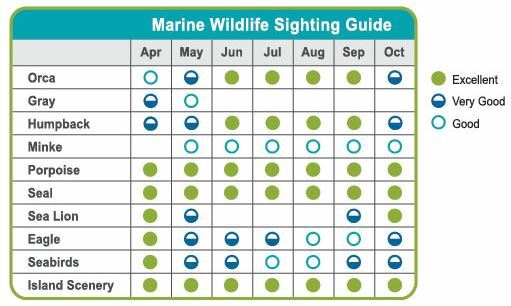 Browse other questions tagged nature-and-wildlife adventure vancouver pacific-ocean whalewatching or ask your own question. How can I choose a good destination to see whales, especially blue and humpback, preferably from a boat? Is it possible to legally visit uninhabited islands in the Pacific for a couple of days/weeks?